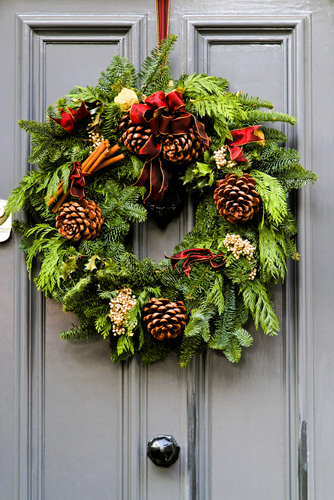 When it comes to curb appeal, your front door is a major focal point. You want an attractive entryway, but not at the expense of security or efficiency. The good news is you don’t have to sacrifice safety and durability for good looks. If you’re looking for an entry door installation in Blue Springs or any of the surrounding areas, then come by the Blue Springs Siding and Windows showroom to view our selection of entry doors. We have something for every taste and budget, and we’ll gladly help you find the perfect door for your home. Read on to learn more about what you should be looking for in your new door! 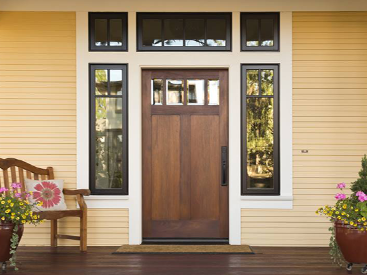 Your front door is an important investment, so choose one that’s tough enough for your needs. Wood is dent-resistant, and scratches can be easily buffed out. However, wood can suffer from sun damage and become warped due to moisture, and we get plenty of rain and snow throughout the year. While steel is more vulnerable to dents, it won’t crack, warp, or fade. If a knick does occur, it can be easily fixed with an autobody repair kit. Fiberglass combines the best qualities of steel and wood, as it resists both denting and weather wear. It also stands up well to moisture, making it a great choice for humid climates like our own. No matter which kind of entry door you choose to invest in, supplementing your new door with a storm door is a great way to ensure that it stays looking new for years to come. Wood has an upscale look and can be easily painted and re-painted to suit your home’s architectural style and color scheme. Its hardiness in the face of wear and tear means that it will look good for years to come, though sun and wind can affect its vibrancy. While many homeowners prefer to have wooden doors despite the potential drawbacks, you can get the wood look without the disadvantages of a wooden door. Fiberglass doors are available in wooden finishes and textures, and they can be stained for a more realistic wood-like appearance. Higher-end steel doors can sometimes be stained too, thanks to a coating of wood fiber or laminated wood veneer. Affordability and low maintenance requirements make steel and fiberglass popular door installation choices. Wood is more expensive, especially when you opt for solid wood. Moreover, it requires more maintenance in the long run due to painting, varnishing, and any repairs that need to be performed over time. 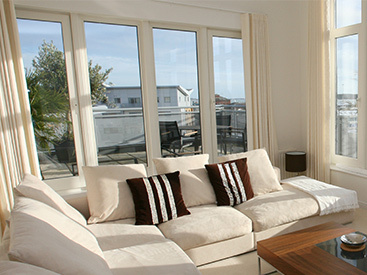 However, unlike other materials, it can be planed to fit into a door frame attached to bowed or damaged studs. This option can save you quite a bit of money compared to the cost of repairing the frame. Steel is energy efficient in all but the harshest climates, but glass panels can reduce its efficiency, as they add extra seals and allow sunlight to shine in. Meanwhile, fiberglass doors often have foam cores with insulating properties to help save on energy costs. 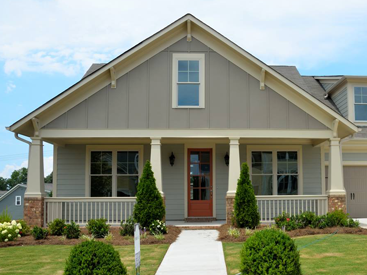 There’s a door material for every lifestyle and budget at Blue Springs Siding and Windows. Everyone wants a front door that looks great while holding up under a variety of weather conditions – something we can truly appreciate here in Kansas City. From protecting your home from hail to refusing to warp during even the most humid summers, Blue Springs Siding and Windows has the materials you need to protect your home throughout the year. 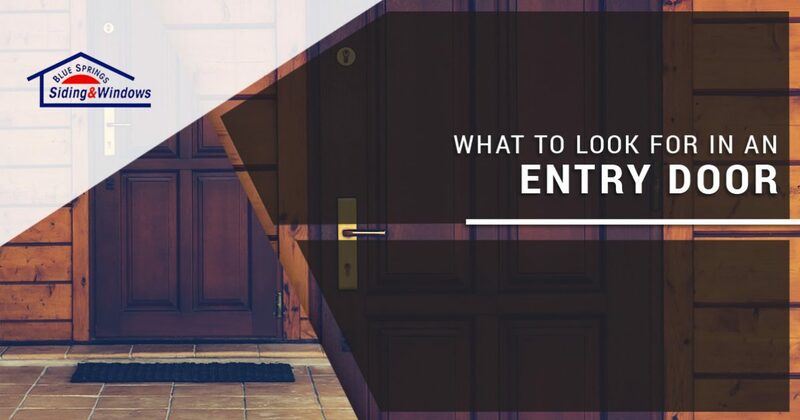 We hope this guide to entry doors will help you make the right choice. Check our blog page in the coming weeks and months to read even more information about entry doors and door installations in the Kansas City area. Would you like more information? Give us a call or a send us an email using the button below to get started. We look forward to speaking with you soon!